Union legislature gk quiz & multiple choice questions(mcqs) and answers are available for free download in PDF. 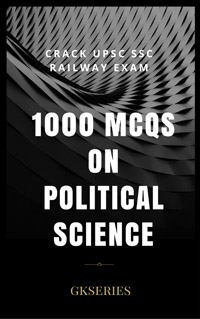 These general awareness objective type questions with Answers are useful for preparations of competitive exams like UPSC, IAS, IPS, Staff Selection Commission(SSC), NDA, Railways, CDS etc. & undergraduate and postgraduate exams. 1 Which state of India has highest number of Lok Sabha constutiencies? 3 What is zero hour in parliament? 4 Which of the following is true about chairman of Public Accounts Committee? 5 With regard to the powers of the Rajya Sabha, which one among the following statements is not correct? 6 Which is the largest committee of the Parliament? 8 What is the minimum age for election/appointment as member of the Rajya Sabha? 9 When the joint sittings of the two houses of Parliament are held?